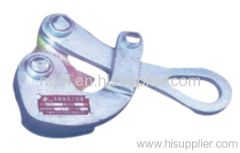 Transmission Line Come Along Clamps are widely used in overhead transmission line stringing operation. It is used for holding the conductor, OPGW, earth wire, anti twisting braided steel rope temporarily. The come along clamp is made of high strength aluminum alloy, or steel. The come along clamp is specially designed and produced for gripping anti twisting steel wire rope. The SKDD earth wire grip can hold the earth wire firmly in the sagging operation. 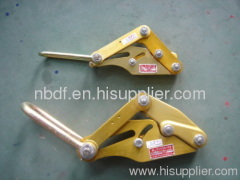 The jaw of clamp is specially designed for gripping. The automatic earth wire grip can hold the earth wire firmly in the sagging operation. 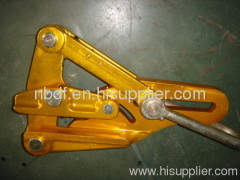 The jaw of clamp is specially designed for gripping. The automatic clamp is specially designed for insulated conductor. 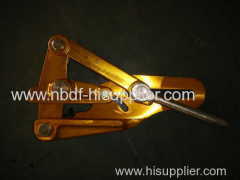 The specially designed jaw of clamp can hold the conductor firmly. 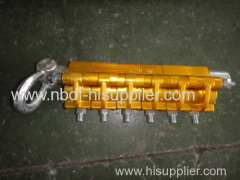 Group of Transmission Line Come Along Clamps has been presented above, want more	Transmission Line Come Along Clamps and Wire Grips, Automatic clamps, Conductor Come Along Clamps , Please Contact Us.